We're always in the hunt for smart ways to squeeze more magic from a Disney World vacation. Here are some of the very best tips I've pinned to my family vacation-planning boards. Read on for the best tips spotted on Pinterest. Character meet-and-greets are so much better when your young child knows who they are, says Casual Claire. Her own daughter "was rather shy and timid meeting each princess but every single one she danced away from giddily with a smile on her face which was so much fun to watch!" Find this pin on my Disney Family Vacations board. ​Find this pin on my Disney World Family Vacations board. Melody at Wherever I May Roam blog explains a simple crowd-avoiding tactic. Since most park visitors eat between 11 a.m. and 1 p.m., ride lines are generally shorter so it's the perfect time to head to an attraction for which you do not have a FastPass. Try to eat before or after this window so "you will not have to wait in long restaurant lines and search for a table," she writes. Find this pin on my Everything Disney board. Do Not Use Your FastPass+ Before 11 a.m.
"Having not been to the parks since I was a kid, I decided to reserve FastPass+ spots on my must-do rides for the early part of the day to make sure my kids got to experience them. This was not smart. As I mentioned earlier, the parks are basically empty for the first few hours. Wait times for even the busiest rides are minimal. Do not use your FastPass+ before 11:00 a.m. You’re throwing it away. Save your passes for the peak times when the park is bursting at the seams with people, generally the hours between lunch and dinner." Find this pin on my Disney World Family Vacations board. Continue to 5 of 19 below. Want to find out when and where your child can see her favorite characters? Download Disney World's My Disney Experience app and you'll have a complete schedule of character meet-and-greets at your fingertips. But there's one thing you need to know. "Character lines can be just as long, if not much longer, than ride lines," warns Amber at Beautifully BellaFaith. "If the sign says that Mulan meets at 2 p.m., you need to be in line by 1:45 p.m. at the latest." The reason? If you show up at the exact meeting time, the line will already be so long that the character may leave before your child have your turn. One of the most coveted experiences for young Star Wars fans ages 4 to 12 is to participate in the Jedi Training Academy show, which takes place throughout the day at Hollywood Studios. When the park opens, bring your child to register for a designated show time at the Indiana Jones Adventure Outpost located between the Indiana Jones Epic Stunt Spectacular! and the '50s Prime Time Café. Go on a day when the morning Extra Magic Hour is at Hollywood Studios. "Registration now begins during Extra Magic Hour, but half of the time slots are reserved for park regular opening," writes Jessica at The Happiest Blog on Earth. On days when there is no Extra Magic Hour, make an 8 a.m. breakfast reservation at Hollywood and Vine in Hollywood Studios, so you'll be inside the park before it officially opens. After you eat, simply walk over to the registration spot. There are so many fun experiences in Disney World that it is easy to miss some that are under the radar. In her Wherever I May Roam blog, Melody describes how her family discovered the Sorcerers in the Magic Kingdom game. "It is an interactive role playing game where guests use spell cards at various locations throughout the park to beat Disney villains. Cards can be picked up at the Fire House on Main Street and your starter pack is free. Best of all, this game allows you to explore parts of the park that you did not know existed. Limited edition cards are available at certain events throughout the year." Sure, you'll take a ton of photos with your camera and smartphones, but some shots are impossible to capture on your own. Melissa at Number 2 Pencil blog recommends buying Disney's Memory Maker photo package, which gets linked to your Disney World vacation account and automatically collects photos of your family as you experience rides and attractions, and whenever you get your picture snapped by official Disney photographers. "It was linked to our MagicBands and we were able to download the pictures and a fun slow-motion video," she writes. Always check Disney World's special offers page to see if there's a good deal on Memory Maker. Continue to 9 of 19 below. Disney World is a big place that can take a lot out of you, especially if you've got little ones. So build in a down day to rejuvenate at the pool, suggests Casual Claire. "We spent the morning at the pool, took a long afternoon nap, and then went to bed super early. It was perfect. Wednesday we woke up feeling refreshed and recharged and ready to go." You can get free ice water at drinking fountains and restaurants throughout Disney parks, but you'll pay for soda and other beverages. There is one one exception, says April at the Pixie Dust Savings blog. "At Epcot you can get free soda samples from around the world at Club Cool." Located in Future World, this attraction offers self-serve dispensers with eight international Coca-Cola flavors from places as far flung as Zimbabwe, Japan, Brazil and Thailand. Sure, you can buy your child an autograph book to hold the signatures of favorite Disney characters you meet at Disney World. Or you can think bigger and follow the lead of Disney fans who take DIY souvenirs to a whole new level by expanding the possibilities of autographed items. This is another free under-the-radar experience that can turn out to be a big highlight for kids. As you work your way around Animal Kingdom park, kids can earn Wilderness Explorer stickers for completing fun challenges, ranging from animal observation to nature skills. Every challenge is different and with each one completed, your child can collect a new sticker badge to place in his or her official Wilderness Explorer field guide. Continue to 13 of 19 below. Getting from any Disney park to any Disney World hotel is easy. Getting from a Disney park to another park? More of a hassle. Typically, you need to take a bus from the first park to a hotel and then another bus from that hotel to the second park. A happy exception is traveling between Epcot and Hollywood Studios. There's a water taxi that travels between the two parks, stopping at several hotels along the way. You can get there even faster by simply hoofing it on the wide sidewalk that connects Epcot's backdoor International Gateway to Disney’s Hollywood Studios. Figure on a half an hour to walk between the two parks, or longer if you stop for a bite to eat at one of the BoardWalk eateries. Turns out that an empty M&Ms Minis tube is the perfect size for a roll of quarters, as Mashable points out. Those quarters and pennies can be used make pressed-penny souvenirs, which are a popular collectible in the Disney parks. You'll find pressed-penny machines in Disney World Resort Hotels and at the exits of popular rides and attractions. "If you love a recipe at a table service restaurant, ask for the recipe" recommends April at Pixie Dust Savings. "When I went to Boma, I wanted the recipe for the soup and the chef came out and gave me all the recipes. You could create your own Disney cookbook based on all of your Disney dining experiences." Orlando gets super hot, even in the dead of winter. So don't assume it will be too cold to swim, counsels Melissa on her Number 2 Pencil blog. Continue to 17 of 19 below. Want a no-brainer way to save 5 percent at Disney World? PopSugar.com suggests buying Disney gift cards before you go with your Target REDcard since "Target classifies these as entertainment cards, not gift cards." After scoring the gift cards with your Target 5-percent discount, you can turn around and apply them to your vacation costs as you like. 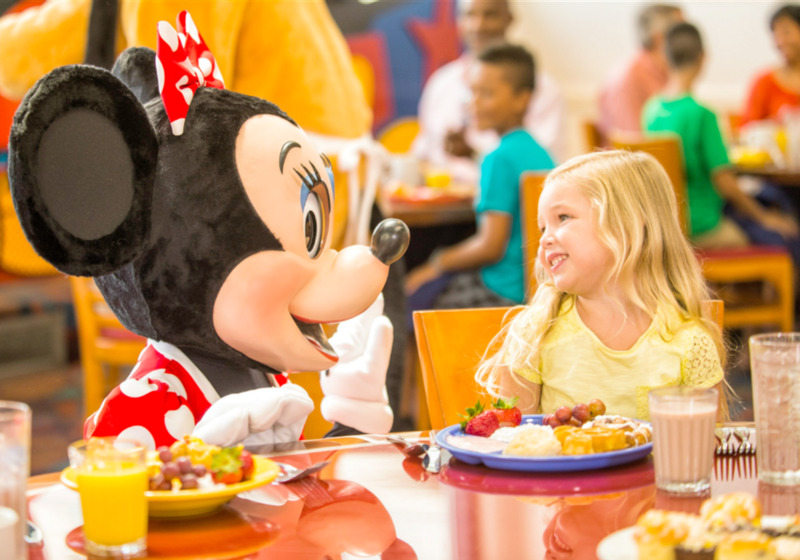 At certain times of the year—most typically in the fall—Disney runs a promotion that bundles accommodations, theme park tickets and the Disney Dining plan. This an unbeatable deal for families. If you lose your phone in the park, how could a Good Samaritan return it to you quickly? SmarterTravel recommends changing your phone's lock screen to an image that displays your name, current hotel in Orlando (but not your room number), and emergency contact information, including your email address and an alternate phone number. Find this pin on my Family Vacations Tips & Advice board.